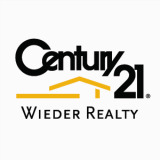 THIRD PARTY VENDORS: As a courtesy, Wieder Realty may provide you with one or more names of service providers including, but not limited to, home inspectors, contractors, repairpersons, or attorneys that other consumers have used or of whom we are aware. Our doing so shall not in any way be construed to be a recommendation or endorsement of, nor is Broker warranting the work of, any such providers. The final choice of any service provider rests solely with you and you are free to choose any provider you wish. You agree to release and hold Broker harmless for all claims or losses that in any way arise out of, or relate to, the selection or use of any such service provider.